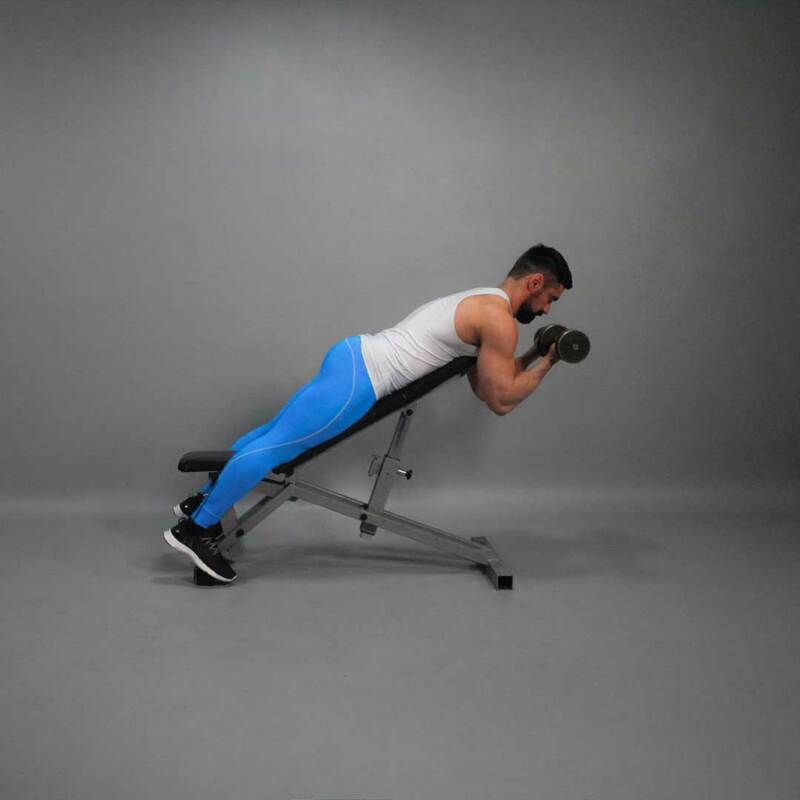 Grab a dumbbell in each hand and lie face down on an incline bench with your shoulders at top of the incline level. Your knees can rest on the seat or your legs can be straddled to the bench sides. Hands should be straightened and perpendicular to the floor. Lock your elbows and face the palms forward. This will be your starting position. Exhaling, curl the dumbbells while contracting the biceps. Keep your upper arms (from the elbow to the shoulder) stationary. Only the forearms should move. Continue curling the weight until your biceps are fully contracted. Make a brief pause as you squeeze your muscles. Inhaling, slowly lower the dumbbells back to the starting position as you extend your arms.